CD45.1 splenocytes come from C57BL/6 congenic mice that express the CD45.1 allele. CD45 itself is a protein tyrosine phosphatase receptor expressed on all hematopoietic cells except mature erythrocytes and platelets and is encoded by the Ptprc gene. Wild-type C57BL/6 mice normally carry the Ptprcb (CD45.2) allele while the other (congenic) strain carries the Ptprca (CD45.1) allele on the same C57BL/6 genetic background. CD45.1 and CD45.2 cells are widely used in transplant and adoptive transfer studies to track the donor and host cells through the different alleles. 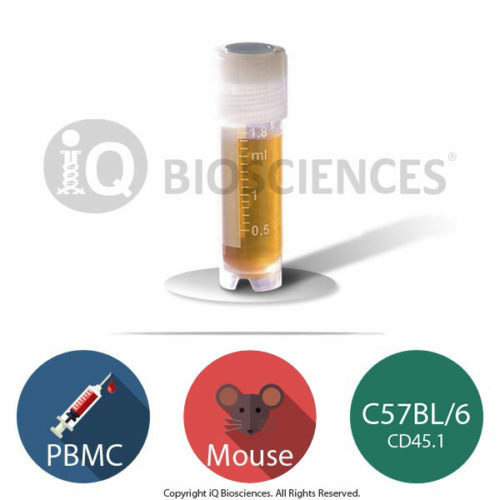 In most transfer experiments, leukocytes expressing CD45.1 are transferred into wild-type C57BL/6 mice and then identified using an antibody specific for CD45.1. Similarly, cells expressing CD45.2 can be distinguished using antibodies that recognize CD45.2. Cells from congenic mice that are genetically engineered (knockout or transgenic mice) can also be used in in vitro experiments to track cell development. Cells from knockout mice on a CD45.1 background can be mixed in culture with CD45.2 wild-type cells to understand the role of that specific gene in cell lineage fate decisions in a wild-type environment. Similar to the in vivo studies, antibodies against CD45.1 and CD45.2 can be used to distinguish the origin of the cells and track their outcomes. These experiments are faster and easier to perform and analyze compared to animal transfer studies. Spleens are isolated responsibly from C57BL/6 CD45.1 congenic mice at third party facilities. These facilities are vetted to ensure they operate according to local regulations and laws. 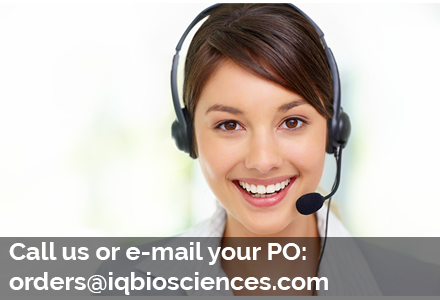 Since the facility is local, the tissue is quickly transported to iQ’s facility for processing. Splenocytes are isolated from tissue of mice that have been verified for the CD45.1 allele by genotyping. Our CD45.1 splenocytes are cryopreserved carefully using iQ Biosciences’ cryopreservation protocol that ensures high viability (typically > 80%) after thawing.